BEECK Beecko-SOL was used during the latest restoration to the Parlor Room following repairs due to water damage. 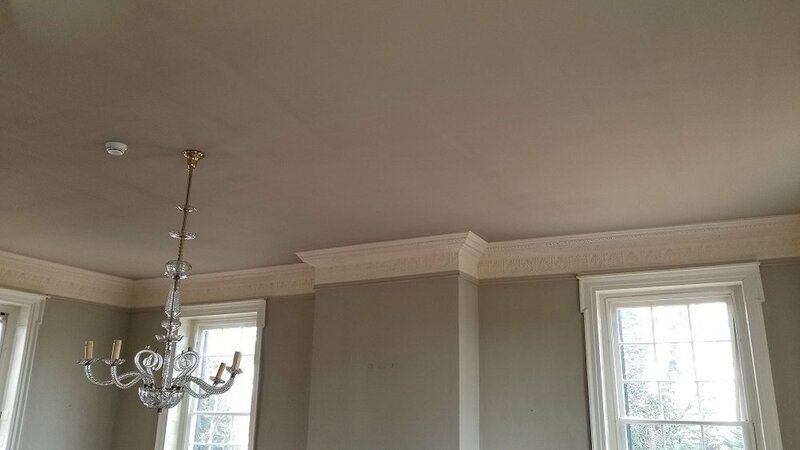 The color C-308-2 was chosen for the ceiling, while the cornices and walls were custom colors matched to the existing historic colors. In May of 2018, the City of Frederick, Maryland presented the Rose Hill Manor with the Historic Preservation Award for exemplary maintenance and impeccable workmanship.